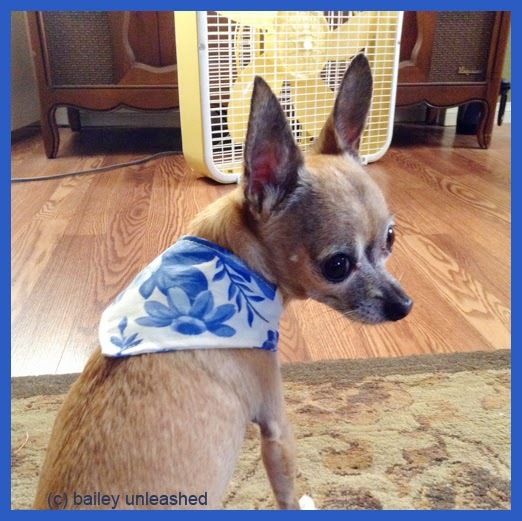 i've been playing around at the sewing machine again and i came up with a bandana for bailey. because i don't really sew, i don't have a craft room with piles of fabric to choose from. heck, i don't even have a craft room, BOL, so i made it out of a cloth napkin. not too bad for my first try. oh, and it's reversible! at least bailey's happy with it and that's all that really matters anyway. Labels: bailey, bandana, photo by j. Looks nice. I can't wear them much because of my being low to the ground they get really dirty. Great job, much better than anything our mom could make! BOL! You looks adorable!!! Bailey, like your bandana you look so pretty, Tell mommy she did a great job.